As Halloween approaches you'll be needing the perfect mask for the perfect fancy dress outfit. But before all that, masking your face with something a bit more hydrating, cleansing and nourishing should be on the agenda. Read more Men’s Grooming features and check out BEAST Grooming. Face masks should be a crucial step in every skin care routine, even though it can sometimes feel a bit more time consuming than you want it to be. But, whether it's once a week, once a month or if you're really keen, once every few days, a face mask is a good step to complete. When it comes to clearer skin, this guilty pleasure may not be something you boast about, but it should definitely be something you spend at least 10 minutes on to help better your skin. So, here at The Idle Man we've taken it upon us to provide you with the top five face masks for men. Clay masks have become increasingly popular ,so it's no surprise that this is one of our top five. 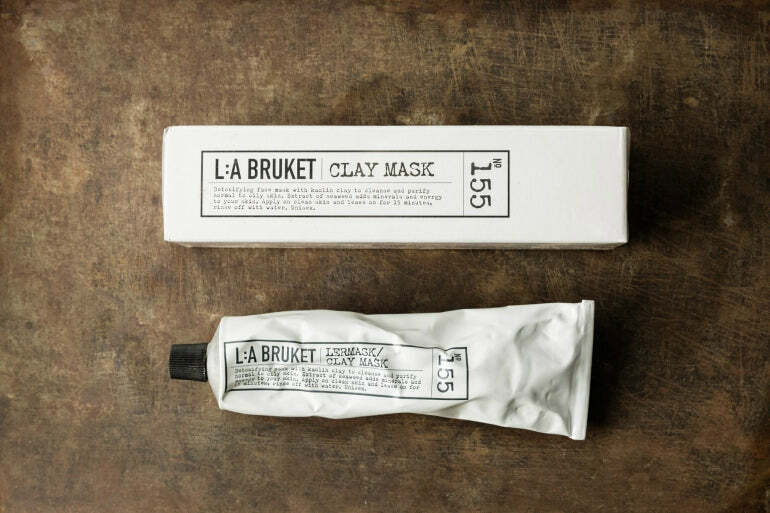 L:A Bruket Clay Mask leaves you with a radiant and youthful looking complexion which is perfect for monthly or even weekly use. The Kaolin Clay purifies your pores and helps to remove any excess oil meaning this is good for anyone that struggles with acne, blemished or damaged skin. With extracts of Seaweed containing Vitamins A, B, C, D and E, the mask massively provides antioxidant action against environmental aggressors. Using this mask will brighten and smooth out your skins texture while also helping towards fixing any blemished or acne prone areas. Apply the clay to already cleansed skin and leave it to settle for around 15 minutes. Once the times up wash it off with warm water and you'll feel detoxed in no time. Cleansing your pores in an essential part of any skin care routine, it allows for your skin to breath and get rid of any of the impurities you may have gained throughout the day. One of the best ways to cleanse your face would be to use an effective face mask. This Anothony Deep Pore Deep Cleansing Clay removes the impurities deep into your skin, reducing congestion and leaving your face feeling smooth and soft again. The Apricot Kernel Oil in this deep cleansing clay acts to hydrate your skins moisture levels whilst the Vitamin C provides antioxidant protection morning till night. Use this mask weekly or even monthly and your skin will start to feel hydrated and noticeably smoother. The minerals that are packed into French Clay work to draw out any impurities and excess sebum to reduce the size of your pores. 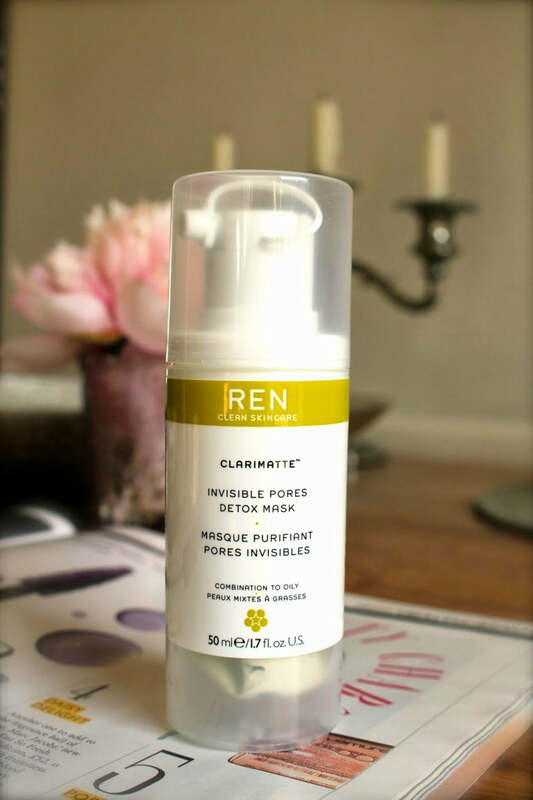 This contributes to minimising any random breakouts and blemishes, therefore this Clarimatte Invisible Pores Detox Mask by Ren Skincare provides you with worth while skin benefits. Due to this being powerful yet not too overpowering with chemicals and ingredients, the mask can be applied twice weekly. The best way to get the most out of it is to massage a generous amount onto your face and leave it to dry naturally. Once dry, which usually takes between 10-15 minutes, remove the mask with warm water. The best skin type for this mask would be oily to combination skin, as removing the impurities helps to control any oil levels. 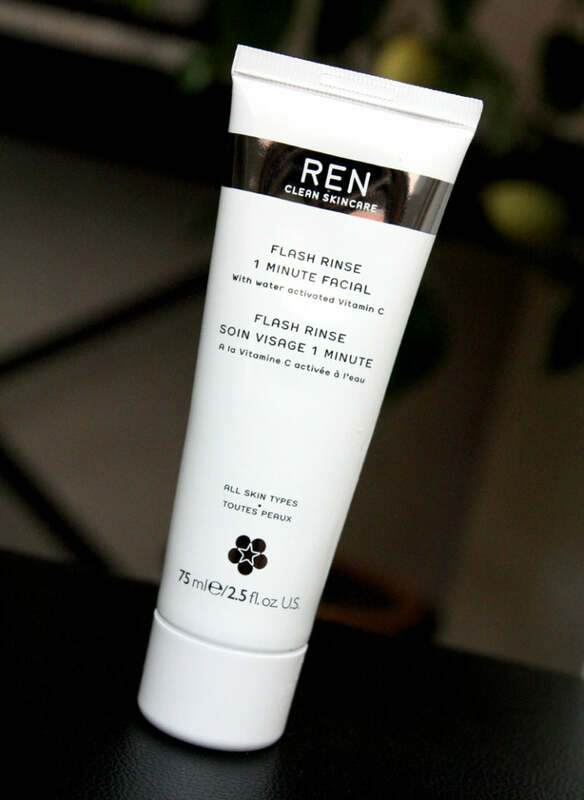 Another favourite Ren Skincare product of ours is this Flash Rinse 1 Minute facial. Sounds easy right? Well, it is. If you're more of a 'get the job done ASAP' kind of guy then this 1 minute facial will be on and off in no time. For busy lifestyles, a transforming treatment that can instantly revitalise and visibly rejuvenate the skin is a must. This blend of product has water-activated vitamin C in it, which is known in the world of grooming as the magical beauty vitamin. The 1 minute facial will leave your skin looking firm, toned and smooth while also helping to reduce the signs of fatigue, ageing and blemishes. Ideal for the early mornings and daily use for a guy that seems to always be on the run. If you want something to add to your skin care routine but you're not really into the whole covering your face in weird creams for 10 minutes, then there are alternatives. So if you still want to thoroughly cleanse your skin you can opt for a serum or moisturiser. 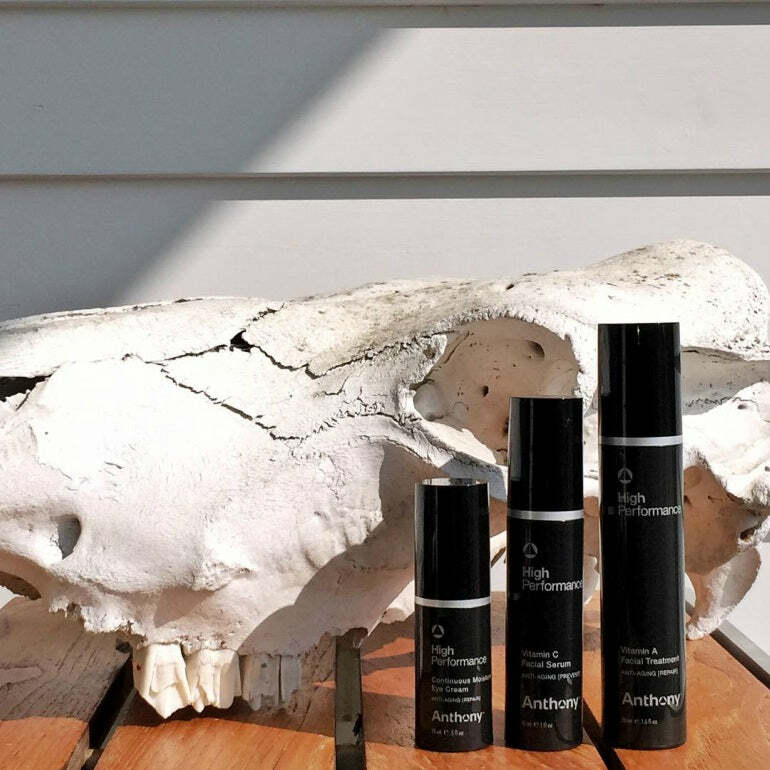 A serum that we love is this Anthony Vitamin C Serum, and like we said earlier, Vitamin C is the 'beauty vitamin'. This anti-ageing lifting serum uses the power of AHAs, Glycolic Acid and peptides to keep your skin looking plump and hydrated which ultimately leads to wrinkle free skin. Using this daily or weekly can help to contribute to the appearance of deep lines by keeping your skin's elasticity and resiliency in tact. Every face mask is different, they each work to provide you with a different benefit or a mix of a few essential benefits that will help lift your skin. Cleansing, detoxing, exfoliating, brightening - you name it, there'll be a mask that does it. If there was one top tip to tell you it would be: after removing any face mask with warm water, splash your face with some colder water to help close your pores. You can then happily moisturise your skin without feeling like you've left your pores open for more impurities to get into (not that this would be the first thought, but you get the gist).